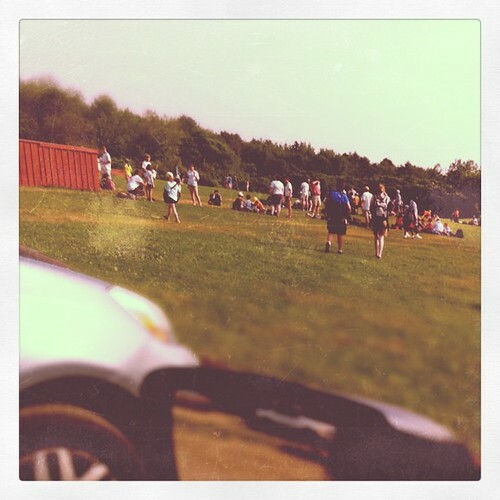 For five weeks, Olivia and Adam attended a local day camp. We'd get up early, and while they got ready for the day by packing their gear, I'd construct nutritious and sustaining lunches for them. 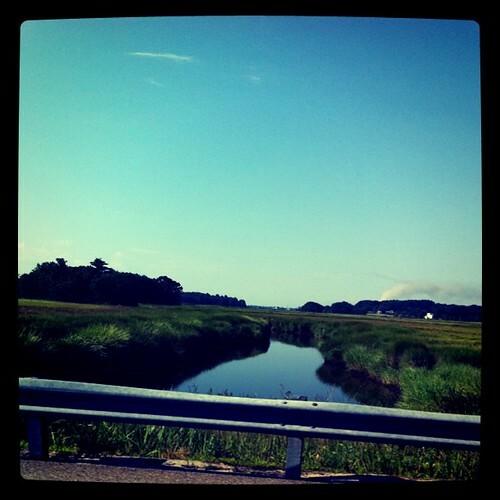 After, we'd get in the van and drive the twenty minutes necessary to navigate around the expansive Scarborough Marsh. During our trips, we'd discuss current events, things going on at camp or with them, music, history and countless other things. Upon arrival, they'd grab their back packs, say good-bye and they'd be off for the day. Since the kids had attended this camp four years ago, we knew a little about what to expect, though this round, Olivia was participating as a counselor-in-training (CIT), and this would be for a longer stretch. In many ways it was a very positive experience; the kids are inches taller, leaner, stronger, egg-brown, and their hair is streaked with sun. They learned things about themselves, faced challenges and most importantly, learned what not to keep for their own and they had many opportunities to realize the extent of their own vast knowledge and competencies. Some of the challenges would be overwhelmingly positive, and others not. For instance, Adam, 12, who dislikes heights, persevered and learned to love doing a number of things on the ropes course, including the "Flying Squirrel", (like this) where one is harnessed, runs off an embankment and just as one catches air, is hoisted up, swinging in huge arcs, thirty feet in the air. Adam said he liked to strike a Superman pose. 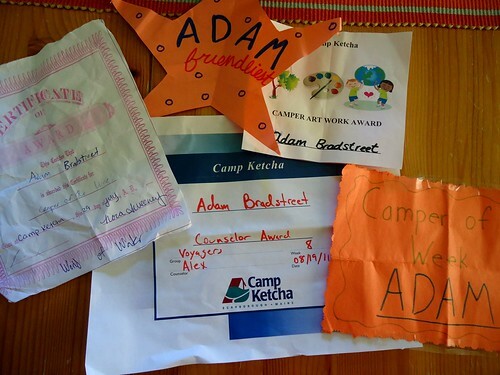 We, as well as Adam also heard from counselors about what great kid he is. He was named "Camper Of The Week", three weeks running and was given the Counselor Award because, "this guy was like having a third counselor around and I never had to tell him what to do and he was always helping out." For Olivia, 14, though her experiences were somewhat different, they hit a similar note throughout. She was equally well-liked, by many counselors, her peers, and other children. She came home with hilarious tales of the smaller children and their daily antics. Our favorite tale is the one about how, as she washed up at the small and low sinks in the restroom, she said to one of the five year old campers that, goodness, I'm too tall for these sinks and it's harder for me to use these or something like that, and the little girl looks at her with a serious and concerned expression and says, "I'm sorry you're so big". Olivia, nearly 5'8", could only thank her for her concern. Olivia enjoyed working with groups to find ways for them to have more fun, often when the counselors themselves didn't take the time or seemed apathetic. She organized kids into orderly lines so they could fill up their watering cans easily instead of rushing the tub all at once or she thought the little ones capable enough to pick up five pieces of balloon, each, from the grounds after a water balloon battle, and they did, with joy. Sadly, when she suggested this strategy, the counselors nearby just brushed Olivia off, rolling their eyes and insisting the littles wouldn't and couldn't handle such a task, with a sound they won't do it, so don't bother. She ignored their derision. Olivia, typically organized and always looking for efficient means to complete tasks, particularly liked being part of the CIT bake sale that was to raise money for their group camping trip. For several evenings, Olivia would come home and whip up a large batch of something, bag it up and have it ready for the next morning. 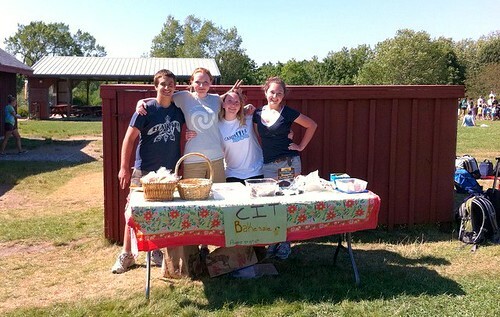 The CITs did meet their financial goal of $400. About that camping trip the CITs took; the one they were told would be two nights and upon arrival at camp were told would only be one, having packed for two. The sketchy camp site at a place not on the lake, the complete lack of planning for meals or supplies needed (not for lack of trying on Olivia's part: utensils she said, condiments she said, vegetarian meal ideas, she said). The outing to a fun park not in the plan, the inability to start a fire, the work of setting up and taking down in a short span of time-all of it spoke to a complete lack of direction, competence and leadership on the part of the CIT counselor, and even some of the CITs. Understandably, Olivia was frustrated, as were we. And it spoke to the lack of skills in preparedness, decision making, and planning that every single one of those involved, with the exception of Olivia, and her education was the one called into question! If this is evidence of their schooling, we can and will continue to do without. Which is why when I found myself in chat with Clark Aldrich late last week and subsequently the kids received a copy each of his book, Unschooling Rules in the mail (many thanks, Clark!) it felt good. No, great. Because it was a needed and reassuring reminder that there are indeed others out there who understand how our children learn, should be and could be learning. So often I've thought of Chapter 4: Twenty-five critical skills are seldom taught, tested, or graded in high school (in it he lists Behaving Ethically, Being a Leader, Prioritizing Tasks and Goals, Sourcing/Buying/Procuring Goods and Services) over this weekend, a fact made abundantly clear to all of us over the past five weeks. It is also good, and great, that we are home for a few days, busy preparing to attend our second Northeast Unschooling Conference for five, whole, glorious, energizing days. We're looking forward to long hours connecting with new and old friends, games, crafts, dancing, laughing and meals shared, all within an environment that understands learning in freedom. Finally, what we learned, and most importantly, what Adam and Olivia learned about themselves while attending summer camp, is that they possess tremendous knowledge, skill and qualities that make them excellent planners and leaders. They learned that while some are open and interested upon discovering they are learning and living without school, many more are uninterested, irritated and defensive. While this truth wasn't exactly an unknown with the kids, this was an intense confrontation with that truth, and one they handled with graciousness and wit. As for goal setting and preparedness, Olivia is already planning to take the leader-in-training (LIT) next year and Adam plans to do the CIT program when he is eligible in two years. Summer camp wasn't ideal in many ways, but personal growth happened and challenges were overcome or dealt with regardless. The experiences the kids had this summer overall, were enriching and taught them much, about themselves and others. Whoa, that's crazy! Why would the COUNSELORS give Olivia a hard time? Isn't that ILLEGAL for an adult to criticize a minor so when they do not have responsibility over them? By the way, this is Olivia's friend, Haley:) Hi! Well, I hope overall that your summer was great and full of opportunity! I am absolutely NOT surprised - and I am sure you were not either. I used to organize and work as counselor at camps and noticed as the years went on people had less knowledge, organizational ability, and problem solving skills. It is like since the 70s it has slowly been sucked out of everyone and people are unable to even function without someone else telling them what to do. Sad. It is great they did it, I guess, and were able to see and know once again how great their life and experiences are in comparison, but wow.